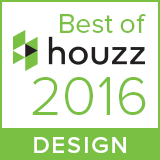 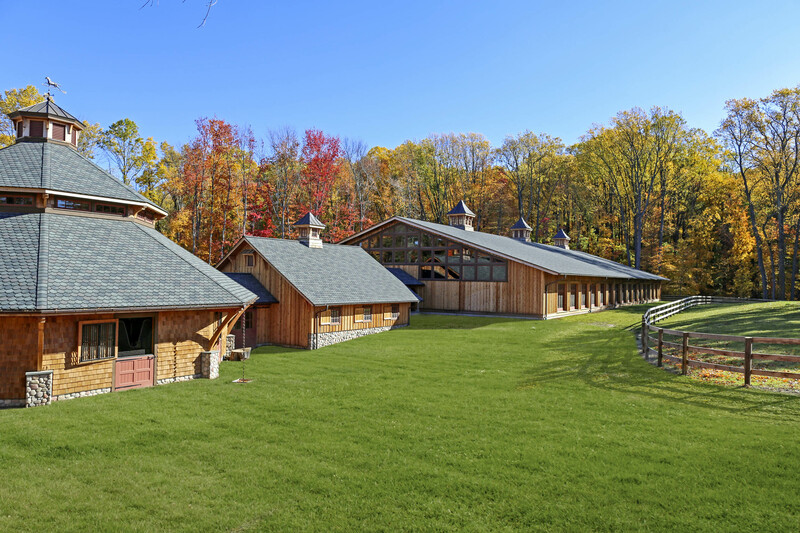 Private Equestrian Estate, Rockleigh, NJ - Deborah Cerbone Associates, Inc. 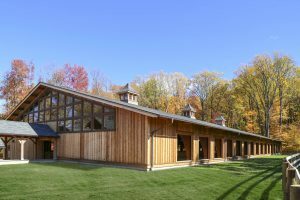 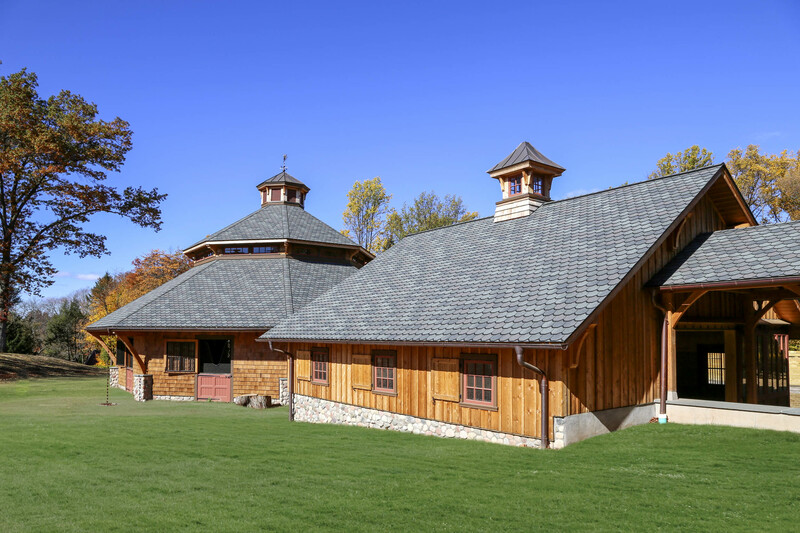 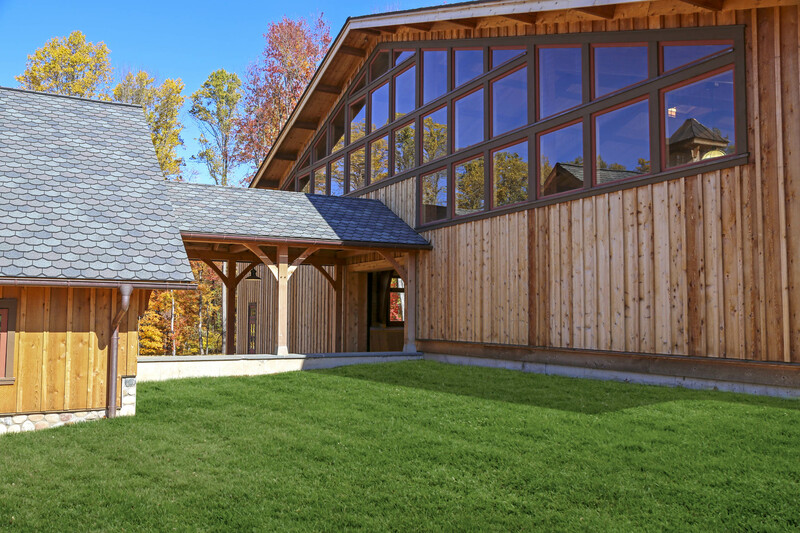 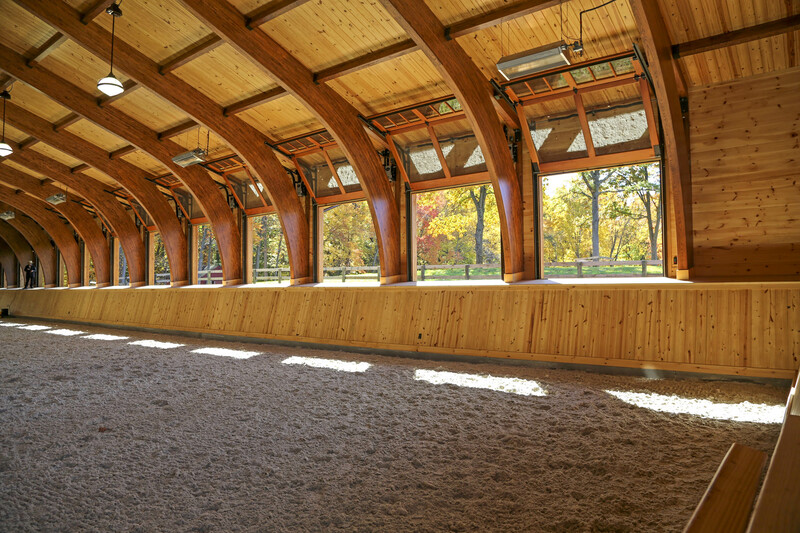 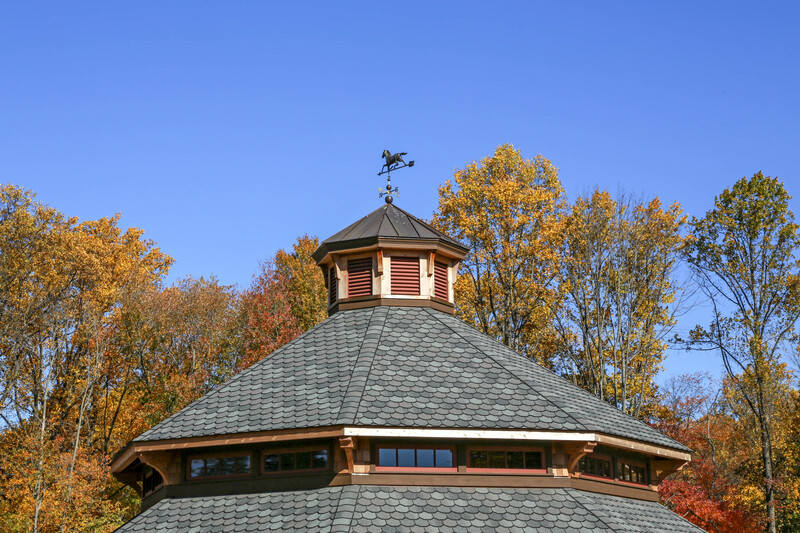 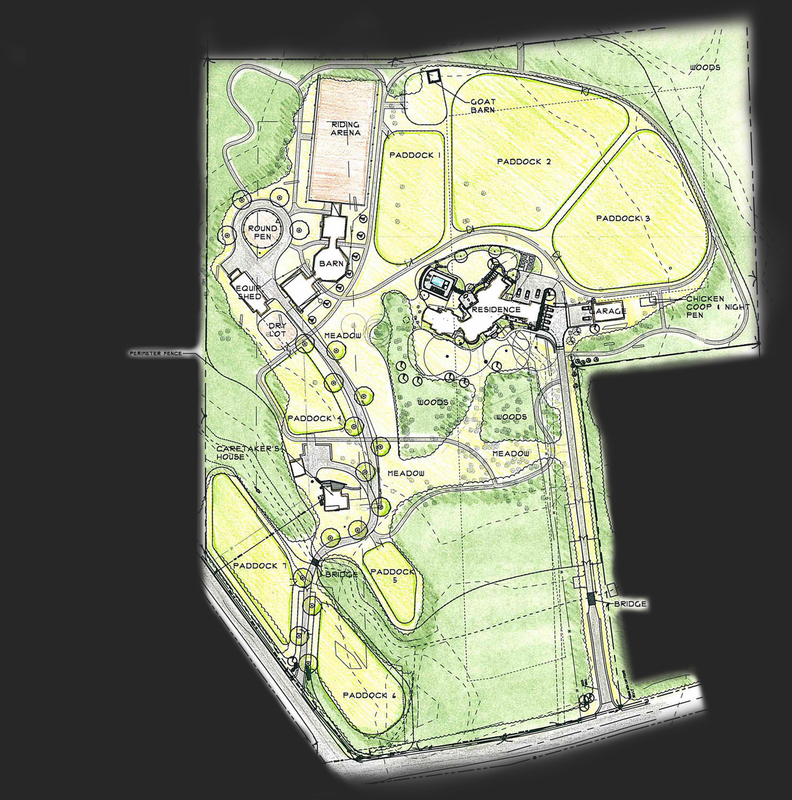 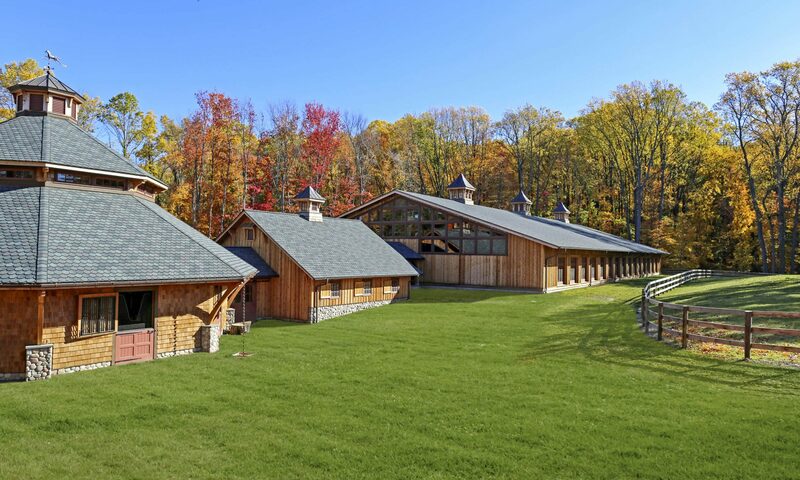 While B&D Builders designed and built the stables, indoor arena and new outbuildings for this 28 acre property, we designed the layout of the paddocks, all vehicular, pedestrian, and equestrian circulation, and the design of the residential portion of the equestrian estate. 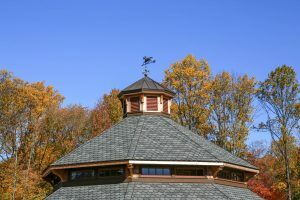 Keeping views open from the house to the barns and paddocks was a necessity while at the same time creating a pool area with privacy from the farmhands was also tops on their list. 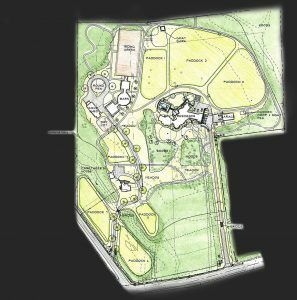 Pasture management included multiple paddocks of different sizes, a dry lot close to the stables, and an O2 manure management system. 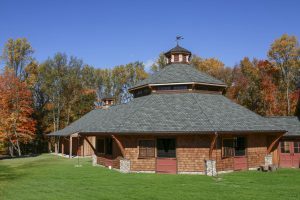 A goat barn and yard and chicken coop, as well as a vegetable garden and fruit trees complete the small farmstead. Distinct driveways serve the stables and caretakers cottage, separate from the driveway servicing the main residence and repurposed existing garage. 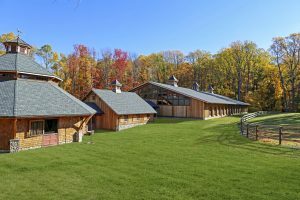 A system of bridle paths circulate through the varied terrain of the property and connects with the adjacent county trail system.